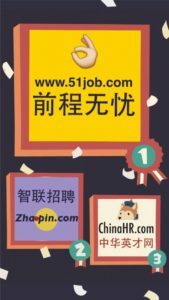 51job.com is the leading recruitment website in China, with the most registered members (over 81 million), the largest resume database (72 million), and the highest peak traffic (over 300 million average daily page views). On average, there are over 3.2 million job postings online, and approximately 38 million applications are delivered through 51job.com to potential employers every week. 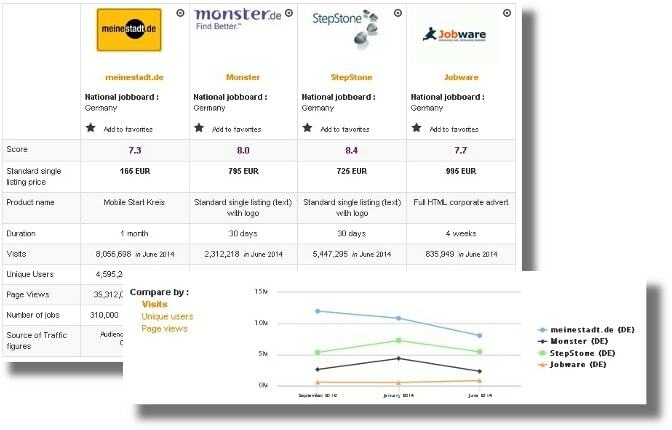 According to industry reports by iResearch, 51job.com has been ranked #1 in market share for several consecutive years and has received recognition from several industry watchers (e.g. CNNIC, Alexa and Euromonitor) honoring 51job.com as "China's Most Influential Recruitment Website" and "World's 100 Best Chinese Websites." 51job is the most influential HR services provider in China. In September 2004, 51job successfully completed its IPO on Nasdaq, and is the first publicly listed firm in the field of HR services in China today. Summary: The copyright indicates that it belongs to Worry-free work network, as do a number of other Asian websites. According to Crunchbase, Norman Lui and Rick Yan are the founders of this particularly popular Chinese generalist job board. The website has been around since the end of the 20th century, but only went public in 2004. Since then, it has become the leading job board in China, making it the 16th most popular job board in the world! 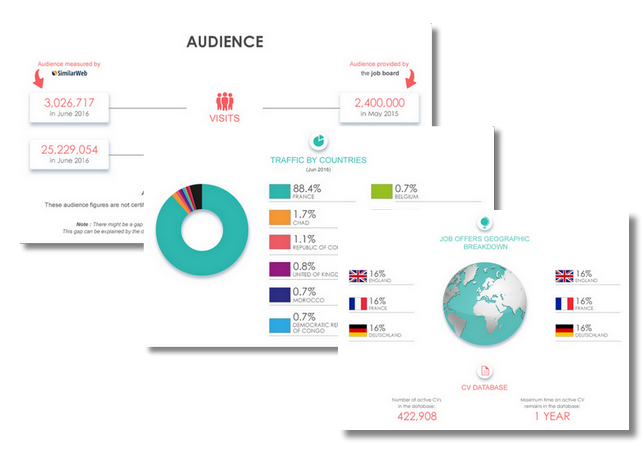 It attracts about 16.26 million views a month. The social media in China is slightly different, so 51job hasn’t focused on Facebook or Twitter for its business. Instead, the group is present on WeChat and has 1 269 887 followers on Weibo. There are also 7 974 on Linkedin (even though the site isn’t very popular in China). 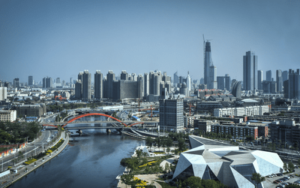 Parts of the website are available in English, simplified Chinese and traditional Chinese, but ultimately, if you aren’t fluent in Chinese, the website isn’t difficult to navigate without some kind of translation tool. Design: The 51job logo is a hand doing an “ok” sign. The homepage is quite colourful thanks to the flashing adverts and orange colour scheme. You can put the homepage in English. To access the job listing, there is a search engine (keywords or company and the location) or select a category from the table. There are also some suggested keywords under the search engine. You can even go through every different job title on the website, or visit the company listing (it’s very long, and the pages include a description, current job offers, the number of employees, the industry, the location). For the search engine to be useful, it’s important to include some information in the search engine. The job offers appear in a list, including the job title, the company name, the location, the salary (practically all of them have a salary range) and the publication date. To filter the offers, you have the location, the company, the function and the publication date. Most offers are standard (contact information at the end) but some are customized to reflect the company image. The company pages are surprisingly attractive yet simple: a banner image, a presentation of the company and the current job offers. When using the site, keep in mind that clicking on something usually open another window (instead of changing what is on the screen), which can be annoying. The job board objective: In mandarin, 51 (Wǔ shí yī in pinyin) sounds like “I want” (Wuo hsian in pinyin) so 51job is “I want job”. It’s easy to remember and the site aims to make the job search easy. Recruiter observations: You can post job offers in English. However, there are many restrictions when it comes to the company name (used to create an account). First, the notification indicated, “you need more than 10 characters”, then “you can’t use English characters” and finally “the name of your company is wrong. Write it correctly”. It didn’t seem wise to fight with a machine so I gave up. Jobseeker observations: You can create an account with WeChat, Weibo or QQ. To create an account, you need to fit a puzzle piece into the right place on an image if you are using your e-mail address. Otherwise, the site can send you a verification code to a phone number. Creating an online profile isn’t too difficult with the help of Google translate. You can even have the profile appear in English or in Mandarin. The website lets you see who has viewed your CV and most job offers have contact information. Finally, you can see who else has applied for the job offer, if you are logged in. The job offers: There are thousands of job offers. You can find jobs in all kinds of sectors. Special features: The app; “we regard your feedback as tresor”; Network Security stamp of approval; funny Youtube videos; “good choice, good job” moto; the page of all the different job titles on 51job; the courses; the cover letter examples; the forum; the form examples and CV templates; the advice and tips section; the research section (including salary information). Verdict: There are videos and even sections on the website, which make the registration process easier (in theory). Ultimately, when using an Asian job board, give yourself time to adapt to the design. There are many pop-ups and flashy adverts, but jobseekers can definitely get their CV onto the site. Recruiters are more likely to struggle, so it’s important to contact the site. Login here for FREE to unlock access to the traffic audience, content and pricing section for more information on 51job. 51job Weekly: The only pan-China recruitment publication, with several millions of copies in circulation each week. Tens of thousands of distribution points covering newsstands, office buildings, job fairs and other targeted channels. HR Forum: Since 2001, with around 1,000 participants annually, a premier HR event for HR professionals and senior management to come together to exchange information and share insights. Expert advice and practical experience sharing on recruitment, compensation and benefits, team and culture, labor laws and regulatory environment, performance management and other HR issues.